This personal oasis of wellbeing will quickly ease the stress of everyday life. 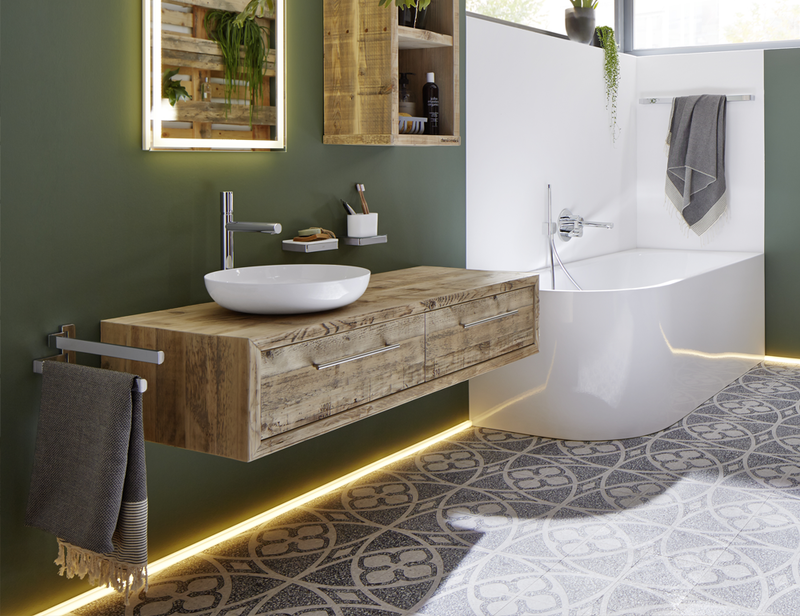 Dark, muted colours lend a special sense of calm to this dream bathroom which is inspired by fire and earth. This feeling is picked up on and enhanced with natural materials – wood and stone. The KALDEWEI products made of superior steel enamel accentuate the natural feel and lend the bathroom a truly special quality. Warm tones, natural materials and lots of space. The CONODUO bathtub invites you to relax and dream, so that you quickly forget all about stress. 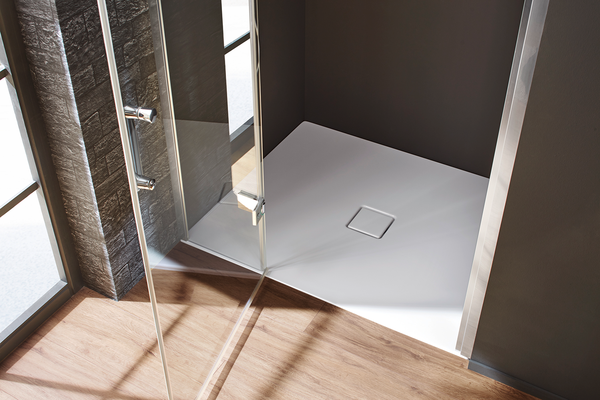 The floor-level CONOFLAT shower surface fits perfectly into the room and merges seamlessly with the high-end flooring. 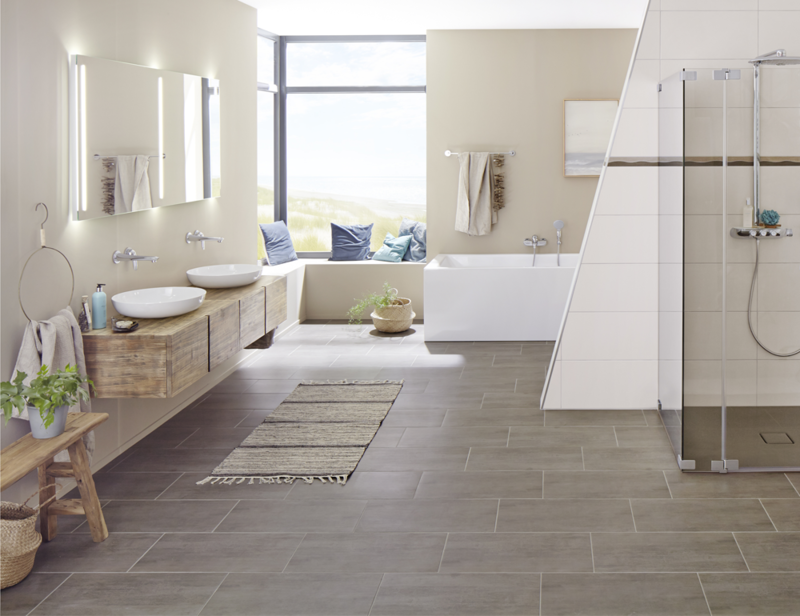 With our wide range of sizes and colours, you can easily customise your shower area. A designer piece from Sottsass Associati: The CONOFLAT. Thanks to our great range of colours, you can also coordinate it with the flooring.